The modestly named Turtle House boasts a property that’s anything but. 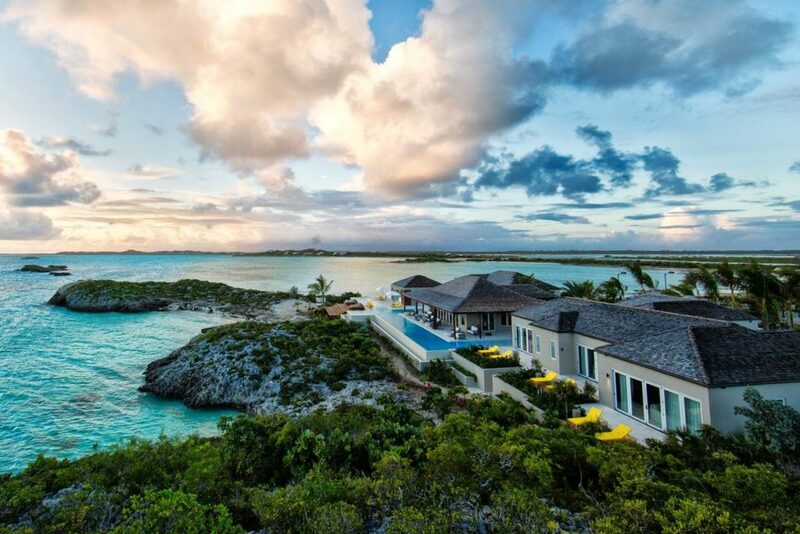 Set on a private cove on the south side of the island far from wandering tourists, Turtle House is an estate in the truest sense of the word, an oasis of calm and represents the best the Turks & Caicos has to offer. A mix of Asian design, modern elegance, and Caribbean color. 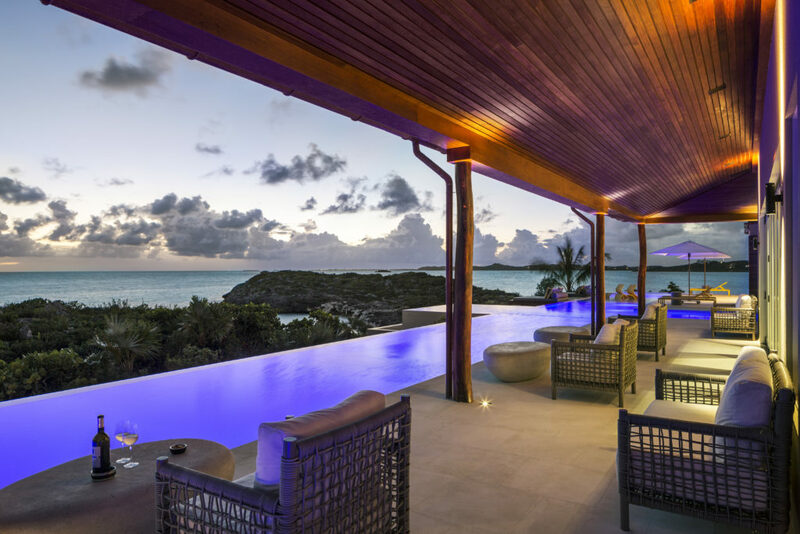 Custom millwork throughout, from exquisite ceiling details to wildly imaginative curved wood walls are some of the villa’s most noteworthy features, visually unifying an expansive and rambling property. 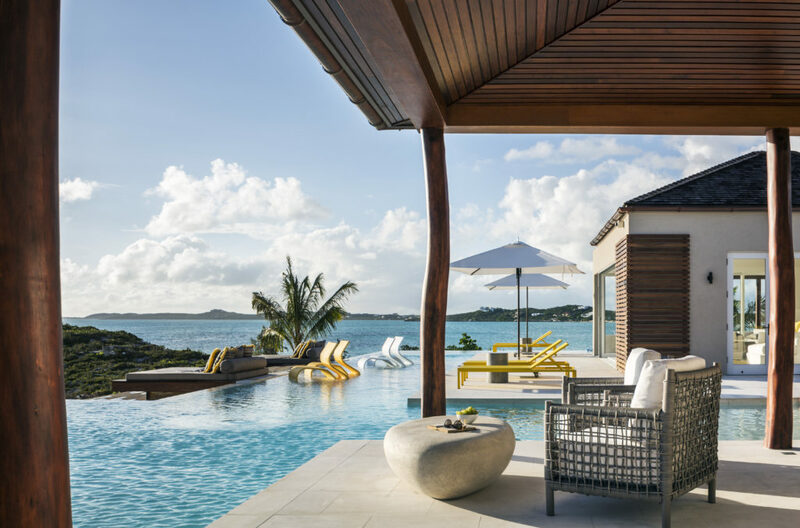 By way of communal space, the property offers a 16-person lounge and fire pit, a 12-top shaded dining area, multiple ocean-side daybeds and lounge areas and a small private beach enclave steps from the deck. Turtle House (main house) comprises of 5 master bedrooms, each unique in their own right as well as a 2 bedroom guest cottage at the property entrance. The property features a great room for formal dining and entertaining, a day room that opens on 3 sides, a private office, a family kitchen and breakfast room, a secondary professional-grade staff kitchen with pizza oven, and a 500-bottle wine cellar and humidor among some of its many spaces. 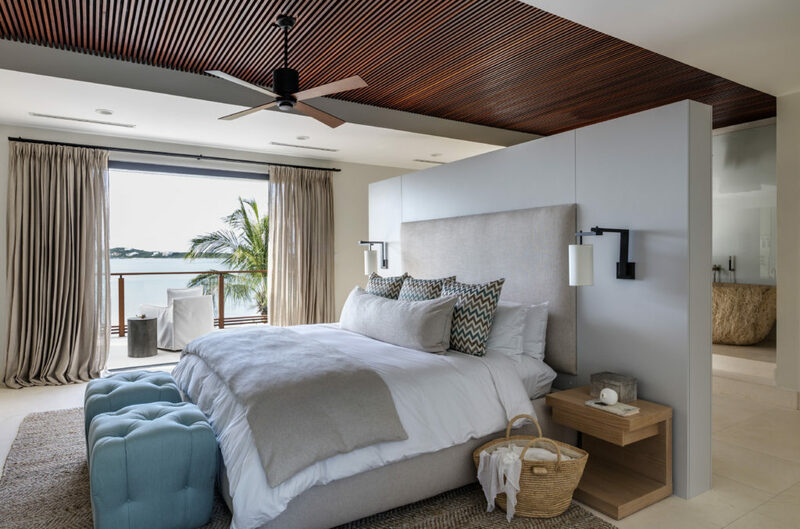 Each bedroom in the main house has an ocean view and a private deck, personal refrigerators, custom bedding and en suite bathrooms are to name a few of the features. Set on iron shore at the water’s edge, the property’s pool is perhaps its most impressive architecture. Spanning the length of the house and weaving between the living structures, the pool links the massive property from the wonderfully open day room to the outdoor dining pavilion to the home office, which in a single step can land you in a plunge pool if you’re so inclined.